Looking for a legal way to watch the Vikings online this season? Check out this complete Minnesota Vikings live stream guide now for all the details! NFL Game Pass is a stand-alone streaming service that hooks you up with every out-of-market NFL game after it airs. Data effective 9/12/2018. Offers and availability may vary by location and are subject to change. *For the first 12 months. Autopay & Paperless bill required. $105/mo. for months 13–24 (subject to change). Kirk Cousins and his Minnesota Vikings are here to claim a championship and make history in that sweet purple and gold. Don’t miss the Vikes’ as they make waves this 2018 season. This year, FOX will host the majority of the Vikings action. CBS will broadcast a couple of games along with NBC, and ESPN will do their share and host them for one week. We’ve trimmed the fat off the fine print and found some juicy details on the services you’ll need if you want to watch the Minnesota Vikings this fall. You can check them out below. Good things come to those who plan ahead, and DIRECTV’s CHOICE™ package is all about the long game when it comes to watching football. There’s no other way when you have to sign a two-year contract, but don’t worry—there’s good news too. The CHOICE™ package, which costs $45 a month, includes a season of NFL SUNDAY TICKET for new customers. To those unfamiliar with DIRECTV lingo, NFL SUNDAY TICKET gives you access to all out-of-market games every Sunday for an entire season. So with the powers of your live channels and NFL SUNDAY TICKET combined, you can watch non-stop football from the pre-season to the Super Bowl. This is a two-way street, though. You have to keep an eye out for a couple things if you want to make the most of DIRECTV’s goodies.  First, you’ll have to set up DIRECTV’s autopay and paperless billing option if you want the $45 a month price. Next, you’ll have to decide if you want NFL SUNDAY TICKET your second year. If you don’t, make sure to cancel before next year’s season. Otherwise, $293 will be automatically charged to your account. When it comes to satellite TV, contracts are the rule. DIRECTV’s two-year contract can be an issue for some because of its second-year price hike: you’ll go from paying $45 a month to $105 a month. While the second-year price definitely doesn’t make us happy, once all is said and done you’re paying almost the same prices as other satellite TV options. Trust us—we did the math. Hulu with Live TV is for Vikings fans with a well-rounded love of TV. It’s got on-demand content bound to keep you satisfied all off-season long and enough local channel affiliates to compete with any satellite TV service out there. That means tons of good football and great shows. If you’re of the “try before you buy” philosophy, Hulu Live has a 7-day free trial that’s sure to convince you one way or the other. Whether it’s fourth-quarter tension or season four finales, Hulu Live’s probably got it. With Hulu’s collection of great original content, you’ll always have something to watch once game time comes to a close. Castle Rock, Casual, and The Mindy Project are just a few of our favorites. Its local channel availability is also better than other streaming services. With nearly 600 channels available nationwide, game time is almost never too far away. 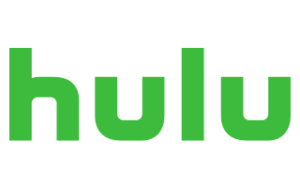 Not everything is golden in Hulu-land though. Its DVR turns out to be pretty lackluster with only 50 hours of storage space. You can choose to upgrade it for $15 more a month, but then you’ll still have only 200 hours of storage. That’s fewer hours than any other service’s DVR on this list. That’s a bit disappointing, we know, but at least Hulu’s on-demand library and excellent Vikings coverage make it worthwhile overall. Who it’s perfect for: Fans with tough schedules. If you saw the storage hours of Hulu Live’s DVR and immediately moved on, welcome to your service. YouTube TV’s unlimited DVR is the solution for fans of instant replay with busy weekend schedules. If you want to check it out for yourself, then you can sign up for YouTube TV’s 7-day free trial. YouTube TV has only one package, and it costs $40 a month. For those of you who can’t clear their weekend schedules for game night, you’ll be happy to know the service comes with unlimited DVR storage. So even if accidents happen when the Sunday night lights come on, you’ll know your DVR’s got you covered. Be aware that though your recordings are unlimited, they do have an expiration date. After nine months, your recordings will disappear. Yeah, we wish you could keep them forever too. But nine months is still the longest expiration date of all streaming services with unlimited DVRs, so you’re definitely not getting a bad deal. So far, YouTube TV sounds pretty sweet, right? Well, the reason YouTube TV ranks at the bottom of our list is because of its low local channel count. Unlike Hulu Live, YouTube TV has 391 local channel affiliates which makes it significantly smaller than the competition. We know that’s a bummer, but before you write it off, make sure to check out YouTube TV’s homepage and click on their “Try It Free” button to see if they’re available near you—or consider adding an HD antenna to supplement all your local-broadcasting needs. *You can watch Minnesota Vikings live stream of most games on Hulu with Live TV. *You can watch every Minnesota Vikings game online on demand with NFL Game Pass. The Minnesota Vikings are ready to win their second Super Bowl. You don’t want to miss any runs, throws, or kicks, so make sure to pick your TV service soon. It’s game time.